(SPOT.ph) Syrupy. 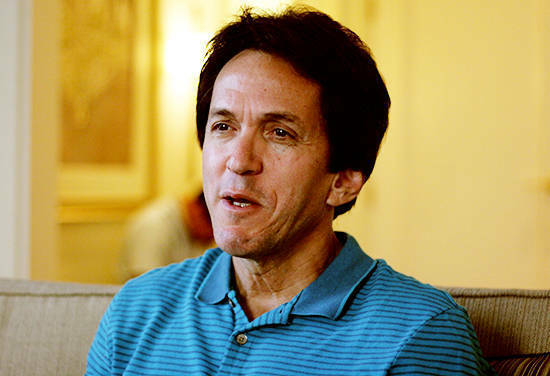 It's not a word that people often associate with books, but Mitch Albom's critics have dubbed his novels thus. He doesn't seem to mind. From his demeanor, we could tell that the wisdom that Morrie Schwartz passed down to him, which he has shared with the world, has stayed with him. You can't please everyone but take comfort in the fact that you tried, and Albom continues to try and spread pleasant feelings through his writing. 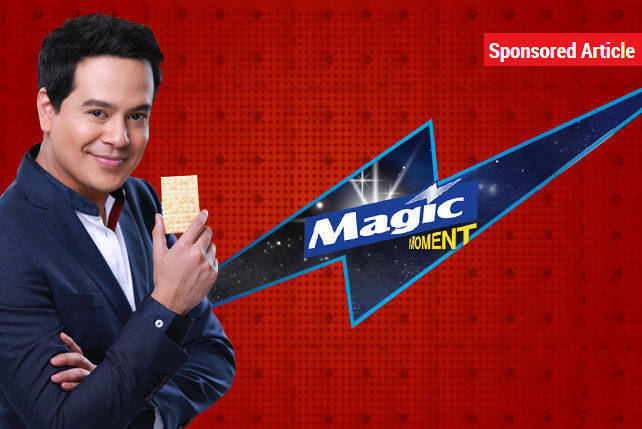 He's visiting the Philippines for two reasons. The first is a book signing with National Bookstore to promote his latest work, The First Phone Call in Heaven, from February 22 to 23. The second is to visit the devastated town of Tacloban, to see what he can to do help. This comes as no surprise, as Albom regularly works to help out in places like Haiti. With all that kindness in his heart, we don't wonder why people call him sweet and syrupy. We just wonder why they complain about it. We sat down with him, and as an homage to his best-selling book The Five People You Meet in Heaven, we asked him to give messages for five people we encounter on earth. Here's what he has to say. History is full of great thinkers-great men and women-who have doubted. In fact, doubt and faith are interconnected, so don't think of doubt as the end of faith. Think of it as something that may ultimately prove the strength of faith. It's something you need to go through. Hate and oppression have no place in anybody's faith. If you truly believe in a benevolent God, then you cannot justify your actions of squashing other people just because they disagree with you. If your faith is truly the correct and only faith, then your God will take care of those matters in His time. Nobody on this Earth is here to destroy or terrorize or hate other people simply because they believe something different. There's no way that you can truly believe that God created the world and somehow think that there are creations [who are] less than you. If you believe that God created you, then you have to believe that God created them as well. Let God decide if there's going to be punishment for their way of thinking. God will take care of them. It's not your job to decide that. It's your job to live up to the love that's been put inside you by your God. There are many religious texts that say, "Do not put your faith in man, put your faith in God." However, if you believe that God created man in His image-as many of the doctrines say-you have to keep looking for the inspiring qualities that are inside human beings. Men and women will let you down. That's part of being human-but so is the element of surprise, and how kind someone can be for no reason or how loving a stranger can sometimes be, even in the light of tragedy. If you have lost faith in your fellowman, maybe you just haven't met enough of them. You just need to go to a place where people are doing more inspiring things. If you have a couple of friends and in your life in a city, your friends are acting like jerks and they've gone behind your back, said bad things about you, and betrayed you-that doesn't mean that all of mankind has gone down the drain. That just means you need a bigger circle of friends. Come talk to me, I'll introduce you to a lot of inspiring people. I don't think any other human being can convince another human being of the existence of God. I think only God can do that. If I am someone who believes that God exists, then I also have to believe that somewhere in time, something will happen in this world that God created that will change your mind. It's not for me to change your mind, and it's not for me to dislike you or disrespect you or think any less of you because at this particular moment, you don't believe that God exists or feel that God exists. Tomorrow, you may see a baby, and there may be something in the way that baby reacts to you that will make you feel a connection to humanity and then spark some kind of connection to a higher thing. It will happen not because I told you about it, but it's part of the world that God created. So my message to people [who have lost faith in God] is give life time. Go put yourself in situations where you can experience the majesty of life, e.g., the birth of a child, the sunrise over a mountain, and then see if something inside you [makes you feel like] this can't be just an accident. Those are two different people! For me, people who are thinking of ending it all and people who only have their faith to hang on to are not the same. If you have nothing but faith, I'll say that's all you need...whereas people who are thinking of ending it all, they're letting go [of faith]. If they are people Judeo-Christian background, which is what I'm most familiar with, then they know that despair is the devil's best tool. It works wonders for making people do that which evil really wants you to do, which is to end your life. Because what greater insult is there to a God than to give back the greatest gift He gave you? If you have been to that point of despair-and despair is that feeling that there is no hope and there is no point to all of this-all I can tell you is that I have met many, many people who have been there. I have met people who have attempted to take their life and simply failed at it, so they even crossed over that point...and yet they have come back around and they found meaning in life. So, if you can only accept the fact that you are not the first person in this world to feel this way and you won't be the last, then maybe you can accept the fact that people do come out of that despair. Something can happen...but the next question is how and what? My simpleminded answer is: find someone who is in more despair than you are, and see if you can help them. That has always worked for me. I've never gone too far but there were moments where I felt down and I just put myself in a situation where I can help someone else. I go and try to do something I can do to ease their burden, and it puts my mind away from my own problems. It doesn't make me jump up and down with joy but it gives me some perspective. It's the giving that makes you feel alive. In doing that, you'll find a new a new sense of purpose and a new sense of purpose starts to erase despair. 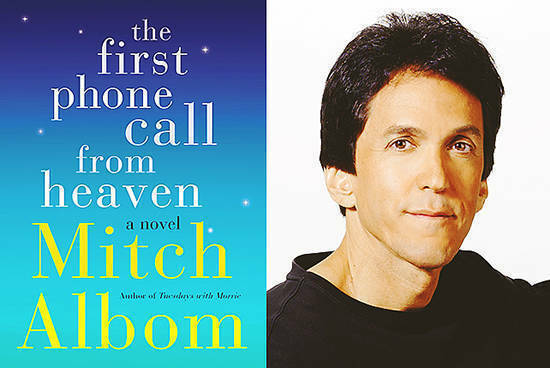 The First Phone Call from Heaven is available in hardcover format at National Bookstore for P695.